Saw on TFB that Global ordnance is now the distributor in the U.S. for Grand Power. No idea what that will bring. Hopefully, just a continuation of Supply and Support! A GP Stribog Pistol is high on my "Wants" List, after I pay my Real Estate Taxes. I have no use for a stribog... yah, that's it! I have no use for a stribog... How much? I called about a mag loader for my Stribog and they told me they won't have any info until they have a shipment from Grand Power. Currently, You might not have a use for one, but you might need one someday. 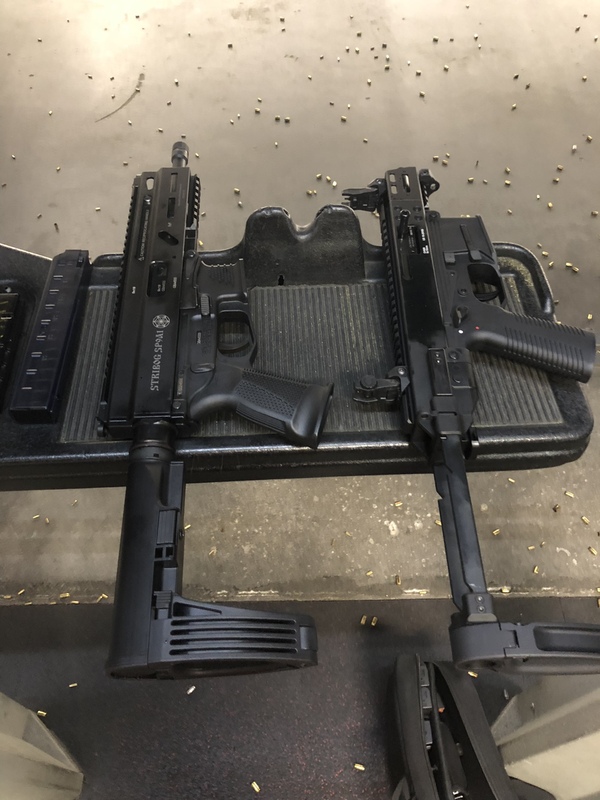 Palmetto State Armory also carries the Stribog but none of the handguns. Been out of stock for a while but had them on sale for $630. From what I’ve read Global Ordinance is the only place that’s supposed to have the whole lineup available. I’ve ordered ammo from GO and had no complaints. Not sure if Eagle Imports is still bringing them in or if this is strictly a deal between GP and GO. GP is supposed to be coming out with a new version of the Stribog and one article hinted it will be something other than a blowback setup. GP also shows other versions of the Stribog like a carbine but I’ve only seen the SP9A1 imported. You don't want a Stribog, it will make you shoot up all the ammo you bring to every range session. I have that problem now when my son comes to the range. Bought a Ruger PC9, installed the Glock mag insert and he turns it into a bullet hose! Talked to a rep at Global Ordnance. She said they will know what stock they will have in a couple of weeks. Still looking for a loader and 30 round mags for the Stribog. The reason Eagle imports is no longer the distributor is because they ended their five-year contract with grand power. From what I've been told the reason they ended it is is because it was like pulling teeth trying to get parts and guns to distribute in the US from Grand power because they're a very small manufacturer and they can't supply the US market with enough guns that's why it's very hard to find them for sale anywhere and global ordnance is a store in Florida there not a wholesale gun distributor like Eagle was so I don't know what's going to happen. Fairly certain that Eagle took over the import duty from Century, who had initially brought them to the US market. "GP is supposed to be coming out with a new version of the Stribog and one article hinted it will be something other than a blowback setup." They already make this one, it's just not currently imported. I've been hoping it would make it to the U.S. market. Yes rsr you're right century was the distributor before eagle kind of makes you wonder they've been through like three or four distributors though in the last for 5 years in the United States before Eagle so I don't know what's going on with them. I picked up my GP K100 (Century import) on closeout from J&G sales for ~$300 (was around $400 or $450 w/ however many mags I bought at the time).